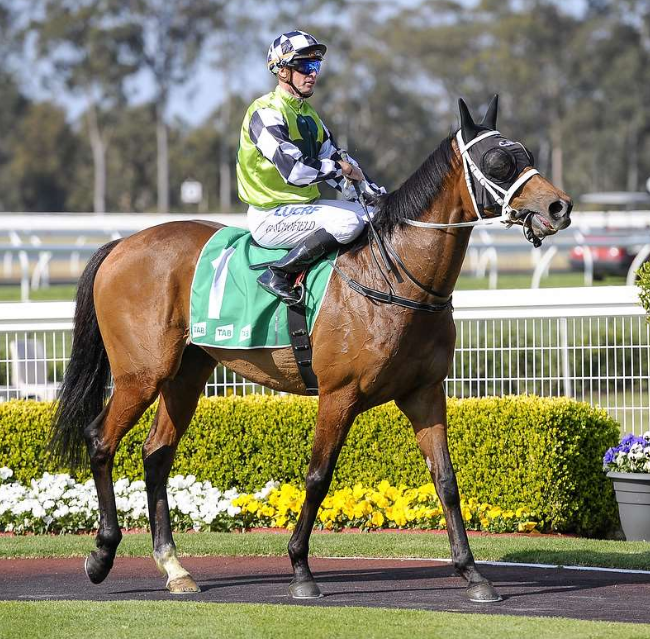 The prestige of the Carlton Draught Port Macquarie Cup has been recognised with leading trainers and horses from Sydney joining a strong local contingent in a program shaping as one of the best conducted at the track in many years this Friday. With prizemoney of around $400,000 on offer, connections of 151 horses have expressed interest for the first day of the carnival with club president, Greg Delaforce, thoroughly delighted with the outstanding nominations for the $150,000 cup feature. Australia’s leading trainer, Chris Waller, has entered five candidates for the blue-ribbon event with Exoteric looking to have sound claims following placings at Doomben over suitable distances in the last couple of weeks. Other stable nominations include Montauk, who has been racing well north of the border, Raqeeq, Abdon and Instant De Reve but it should be noted the last three horses mentioned are also entered for the Randwick program this Saturday. Richard Freedman has been enjoying a wonderful run of training success in recent times and looks to take the Taree Cup winner, Shalmaneser, for further race glory. With recent runs in the Wyong Cup and a solid second in the Colin Stephen Stakes at Rosehill last weekend, Shalmaneser looks to have an undeniable chance in Friday’s feature. This is despite the fact that the Taree and Port Cup double has been a rare achievement in recent times with no horse taking these two prestigious mid-north coast events this century and only a select few over a long period of time. Valentino Rosso heads to the circuit with high hopes for the Jason Coyle stable following solid recent metropolitan placings while the last start win by Lady Evelyn in Highway company has boosted the confidence of Newcastle trainer, Jason Deamer. Kim Waugh is a welcome regular visitor to the Port Macquarie track and has a real chance with Goathland engaged and the recent battles in the Colin Stephen Stakes and Newcastle Cup with the Gerald Ryan-trained gelding, Harper’s Choice, providing further spice in the race. Throw into the mix the Gai Waterhouse and Adrian Bott trained gelding, Social Element, the recent Lismore Cup winner, Fairlighting, and last year’s Port Cup winner, Loving Home, you have the nucleus of a wonderful event. With the balance of the program highlighted by the De Bortoli Showcase Sprint, an open handicap together with races catering for all classes, the stage is set for a classic day of racing. The festivities conclude on Saturday for Steeline raceday with massive interest resulting in 147 nominations set to share the spoils of the $154,000 prizemoney on offer. With the track playing well for all contestants on prelude day, the club is hopeful for a sensational carnival with all roads leading to Port this Friday.